Synaptic performance indicators can help establish uniform manufacturing and profitability goals among all personnel and functions in a process plant. Changing feedstocks, highly variable energy costs, and inconsistent patterns of demand are making it harder for process plants to optimize operations. When the high cost and growing scarcity of skilled staff are added to this equation, a shift in mindset is required to assure optimal performance. This shift can be facilitated using digital twins, or be fully implemented within a plant’s distributed control system (DCS). In the past, process plants have frequently turned to professional consulting services for optimization efforts. Third-party subject-matter experts are made available and charged on a time and material basis to act as an extension of the plant’s technical team. These services usually address plant issues reactively. Although this approach may work well in some instances, high cost is often an issue, as is the lack of proactive advice and assurance of outcomes. A different, often superior, approach relies more on the use of internal resources to balance multiple objectives, including safety, profitability, and efficient use of personnel resources. Such objectives, though, often reflect conflicting goals that aren’t aligned across departments, plants, or enterprise boundaries. Most companies establish C-level key performance indicators (KPIs) such as energy cost, gross margins, and incidents. Unfortunately, the KPIs used by C-level executives frequently don’t match up with those used by engineering and operations personnel. These last two groups typically have their own set of KPIs, often generated independently to maintain safe and stable plant operations within the day-to-day constraints they face. Adding to these challenges, the experience and competency needed to manually align with high-level objectives are declining due to retirement of key personnel, especially control-room operators. But what if KPIs could be structured systematically across an organization from management through engineering to operations to unify all employee capabilities, motivate them to do better, and cultivate the knowledge in the DNA of the organization? A collaboration between Yokogawa, Tokyo (yokogawa.com) and KBC, a Yokogawa company based in Walton on Thames, Surrey, UK (www.kbc.global) provides a case in point regarding the successful development and implementation of that type of structured KPI framework. Yokogawa collaborated closely with KBC industry consultants to first define and then systematically structure several hundred metrics known as synaptic performance indicators (SPIs). These are collected at the plant operations, engineering, and top-management levels in process-industry operations, based on deep knowledge of how they affect plant performance. At the operations level, a typical mid-sized refinery has about 377 SPIs, and a typical ethylene plant has about 77 SPIs. Approximately 60% of SPIs indirectly correspond to control variables, and 40% directly correspond to those variables. A midsized refinery will have about 93 high-level SPIs for daily viewing and use by management; 357 SPIs for hourly viewing and use by engineering personnel; and 377 SPIs for real-time viewing and use by shift operators. 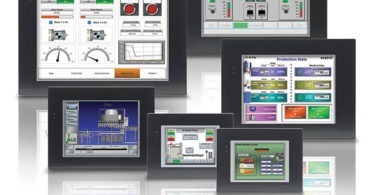 Plant-control systems continuously receive a vast amount of data from sensors and devices. Using this data has mainly been limited to front-line plant safety and line control. For this new methodology, in-house domain knowledge has been applied rigorously to first select the appropriate indicators that affect high-level management objectives, and then determine from where to collect the data to create the indicators. For SPIs not measured due to a lack of sensors or analyzers, process simulation is implemented to calculate soft sensors for estimating unmeasured process variables from measured variables using rigorous process models. Process-variables are optimized by setting an optimal range for each critical set point. Analysis of historical data by process engineers and experts with extensive domain knowledge can determine the correct range for each set point, a complex task because many control loops interact with each other. Further complexity is added by also considering the effects of set points on the supply chain. All of this data can be combined to provide deep insight into the behavior of a process at any point in time. SPI data can also be used to trigger expert guidance in the form of messages when a variable goes outside of the ideal range, thereby supporting prompt action by even inexperienced operators. By optimizing SPIs, operator actions mimic those of a multivariable controller, which is one of the categories of advanced process control, resulting in optimal control of related process variables. A dashboard tracks the performance of each control-room operator during his or her shift by checking the uptime of an SPI, i.e., time during which the SPI is in the ideal range or without alarm. Operators can check their performance with respect to the high-level objectives, and improvements can be visualized by comparing performance of operators across shifts. • Improving process-plant engineering: SPIs, alert information, and operator scores are stored in the DCS. Plant-engineering and third-party personnel can use this information for benchmarking, root-cause analysis, or expert consulting for continuous improvement. SPIs and related dashboards can thus help engineers and operators transform their work from event-driven to profit-driven. The control-room-operator SPIs are used to inform the engineering team of possible improvement opportunities, creating aligned targets for the operations and engineering teams. The engineering team can use structured SPIs and stored data to analyze plant performance, identify improvement opportunities, and to analyze other production issues. • Improving plant management and performance: SPIs for management give a clear picture of high-level performance metrics such as facility operations, the difference between planned and actual production, and energy use. The balanced performance metrics associated with carefully-crafted SPIs lead to improvements in quality and efficiency, reduce inventory, ensure compliance and increase flexibility—ultimately leading to greater profitability. Some management and engineering SPIs also leverage manufacturing-execution system (MES) data, e.g., production-plan data, crude-assay data, and laboratory data, along with that from external sources such as utility and feedstock pricing. To provide this functionality, management and engineering SPIs are provided by way of a cloud-based digital twin. The digital twin gathers data from the plant’s distributed-control systems, historians, and labs, as well as from other sources such as feedstock and energy pricing. It uses this data to calculate relevant management and engineering SPIs, and securely distributes this information to users worldwide. 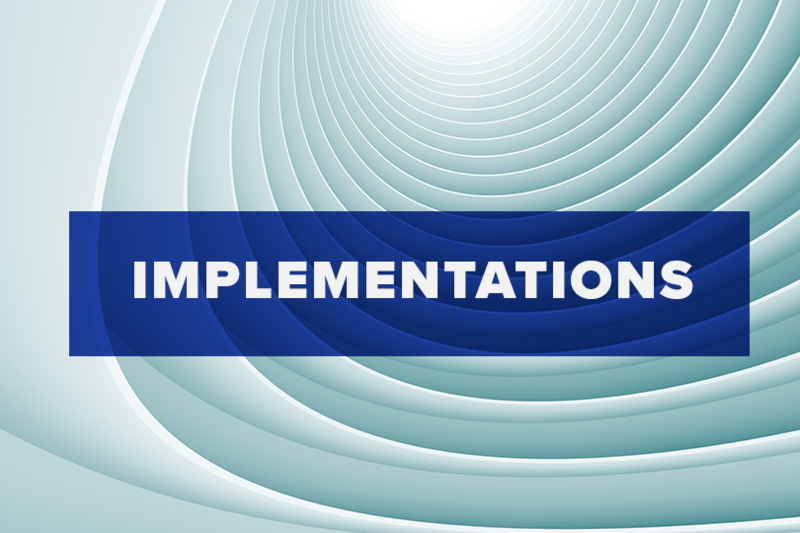 It’s easy to fall into the trap of functional information silos in today’s plants, with each person optimizing his or her area of responsibility to meet objectives—but with suboptimal overall effectiveness of the organization, operation, or value stream. This happens when a plant’s engineering team and management personnel use a set of KPIs that are different from and nonaligned with the control-room-operator KPIs. This problem can be addressed by having aligned targets for engineering, operations, and management. In short, SPIs aligned from operations to engineering to management provide a common goal for all plant personnel, letting them transform their work from event-driven to profit-driven. Information in this article was provided by Yasunori Kobayashi, a senior manager and executive consultant at Yokogawa (yokogawa.com). Outcome-as-a-service offerings are everywhere. Consider power generation, where major equipment vendors have moved from selling gas turbines to selling “power by the hour.” Consumers no longer buy CDs, but instead subscribe to online streaming services with “all you can eat” listening. The proliferation of these types of service models has been enabled by significant improvements in technology. This outcome-as-a-service model is now being applied to assure plant performance in industrial settings, delivering operational excellence as a service through the cloud. The approach provides the ability to achieve plant troubleshooting and optimization objectives more efficiently and effectively. The Co-Pilot Program from the Yokogawa company KBC offers outcome as a service by creating high-fidelity, molecular-enabled (kinetic) digital twins of refinery and petrochemical plants in the cloud. The digital twin in the cloud gathers data from the plant distributed-control systems, historians and labs—as well as from other sources such as feedstock and energy pricing. The data is constantly monitored and analyzed by deep subject-matter experts with decades of worldwide plant troubleshooting and optimization experience to create insights for improving plant performance in real-time through highly-robust, cloud-based data sharing. The program also provides predictive capabilities, which improve upon purely reactive approaches. 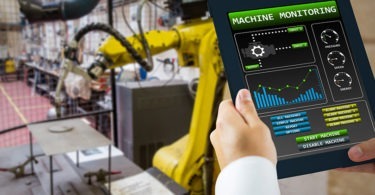 The molecular-enabled, digital twin is able to calculate equipment health parameters, which cannot be directly measured by sensors, opening up the opportunity to identify and mitigate issues before they constrain or affect performance. Reactive and proactive advice and recommendations are provided through an online, cyber-secured collaboration portal, allowing real-time discussion and exchange of ideas among multiple external experts and plant-based engineering, operations, maintenance, and planning groups. Advice and recommendations can also be pushed out to plant personnel through emails and texts, and by sending data and information to existing plant control and monitoring systems.